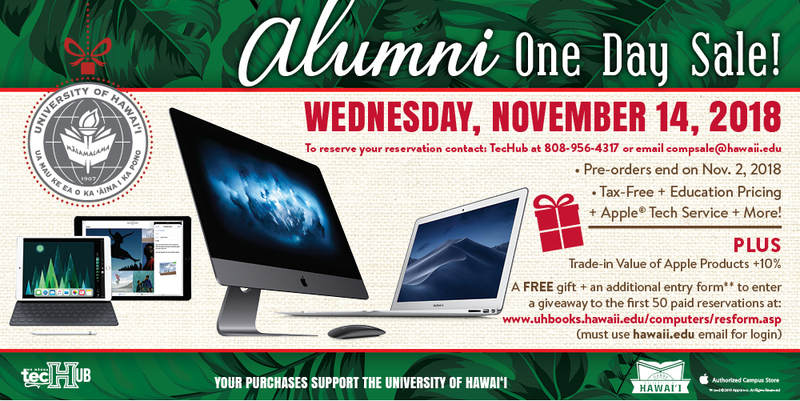 The University of Hawai‘i Bookstores is proud to offer UH alumni, faculty and staff one-day special education pricing, plus tax-free savings on select Apple products. This offer is open to all University of Hawai‘i System alumni. 4 p.m. - 6:30 p.m.
For more information, contact the bookstore at (808) 956-6884.